Need a technician for a garage door? Having problem with your garage door or need a new repair / installation? You have come to the right place. Handyman garage doors in Lakewood, NJ is always available and on call for repairs and installations. When it comes to price there is no better company to use than us. We provide wholesale pricing on all garage doors and openers. If there is any way we can save you money on the repair or service we will offer it before a price is negotiated. Do you need a garage door repair Lakewood, NJ? Well you have come to the right place. Handyman Garage Doors operates in Lakewood for all garage door repairs, garage door installations and garage door maintenance needs. Handyman Garage Doors services residential, and commercial garage doors both overhead doors and roll up garage doors. There are many different attributes and mechanics that a garage door is made of. Therefore it is important to call a garage door technician in Lakewood, NJ to help with your garage door repairs. 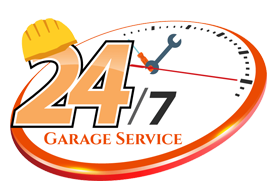 We are available to service your garage door 24/7. We are local and provide the community with the best prices for repairs and installations. If you are wondering what type of services or garage door repairs we can provide for you the list is from A-Z. It is important to feel confident in your technician and that is exactly what we provide. Nonetheless, we take the work we do for our clients to the next level and provide the top services. Your garage will be left clean and handled in the most professional manner. When it comes to price there is no better company to use than us. We provide wholesale pricing on all garage doors and openers. Nonetheless, If there is any way we can save you money on the repair or service we will offer it before a price is negotiated. WHEN CAN I GET GARAGE DOOR SERVICE? With handyman garage doors our services are available 24/7 in Lakewood, NJ. No job is too hard for us and our customers are very important to us. Have a noisy garage door? This is a sign of a potential future problem. You shouldn’t wait until the garage door is totally malfunctioned to fix the door as it becomes more expensive at that point. Call a technician today to come diagnose your garage door at 732-822-0778.